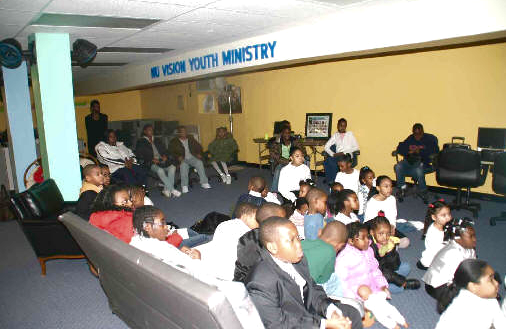 The Nu Vision Youth Ministry gave a choral and dramatic presentation called, “Let Peace Abide.” The young parishioners enacted a scene which highlighted the importance of nonviolence as a relevant mediation solution to settle disputes within the community. A film documentary, “A Journey to Oslo”, premiered at the event. 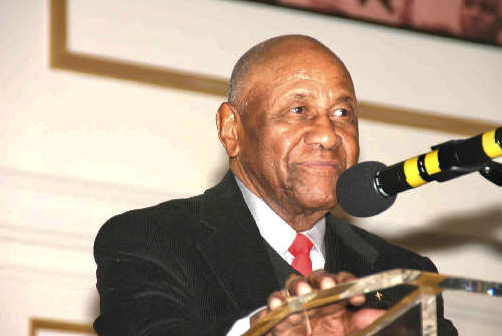 Directed by Bruce Penn, the film was an eyewitness account of Dr. King’s acceptance of the Nobel Peace Prize by Reverend Dr. Richard Dixon, Jr., Pastor Emeritus of Macedonia Baptist Church. Rev. Dixon, a close friend of Dr. King, was one of 25 people selected to travel to the Nobel Peace Prize Ceremony with the civil rights leader. In 1964, Dr. King became the youngest recipient of this prestigious award. Rev. Dixon, former Ambassador Andrew Young, and Reverend Wyatt T. Walker are the only three living members of the group who had traveled to Oslo. The day was filled with an abundance of interactive presentations as a vivid reminder of the significance of the occasion. 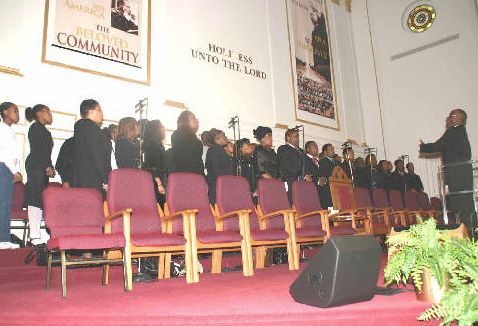 Flat-screened monitors within the church’s sanctuary showcased a video montage of the life of Dr. King, and related Civil Rights era events. Parishioners saw the images of lynchings, Ku Klux Klan rallies, and slain civil rights workers, barking dogs interspersed with peaceful marchers, and black students being taunted as they entered newly integrated schools. Many in attendance seemed in awe of the marvelous opportunity to celebrate the life of Dr. King, and to pay homage to Rev. Dixon. Allen Memorial Church provided an excellent foundation to inspire hope, that Mount Vernon can too, become a beloved community. Rev. 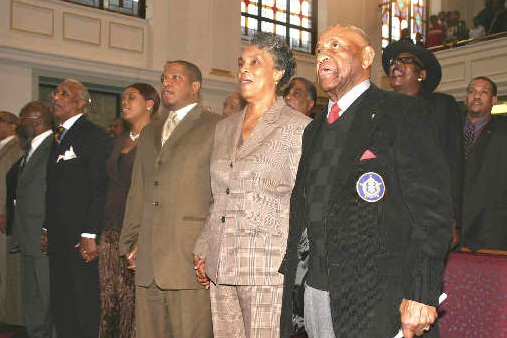 Dr. Richard Dixon (r) standing next to his wife and Rev. Dr. Jimmy Hardaway, Jr.